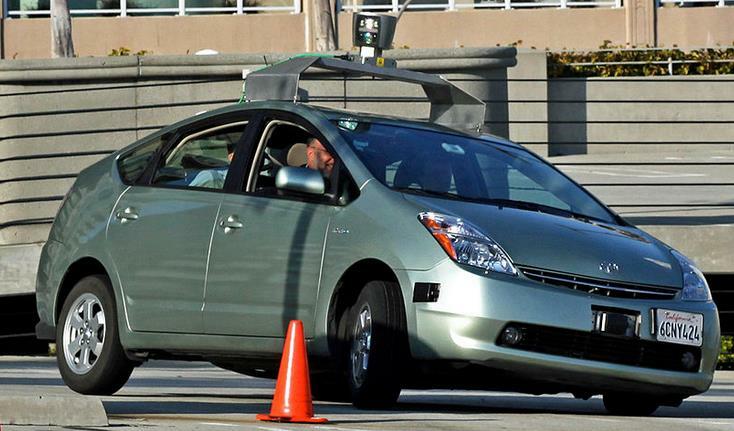 Driverless cars - what's the latest? The concept of autonomous, driverless, self-driving vehicles has been around for quite some time, Da Vinci having designed a self-propelled cart waggon all the way back in 1478. Fast forward to more recent times and various organisations tried to accelerate autonomous vehicle technology between the 1920s and 1980s, but didn’t really get that far, most only able to travel very slowly along pre-set routes. How far off are truly driverless cars, which can travel to a set destination without any human input, at typical speeds, using everyday roads, in ordinary traffic? Far from a sci-fi film dream, such technology is already here. We thought we’d take a look at the latest developments and see where the technology may be heading. Google have certainly created a lot of headlines with their driverless car endeavours, particularly since 2012 when laws were passed in Nevada allowing them to test their vehicles publicly. Since then, California, Florida and Michigan have also given Google the green light. The firm’s Self-Driving Car project initially comprised a fleet of cars powered by software called Google Chauffeur. The modified Toyota Prius, Audi TT and Lexus RX450h vehicles have covered hundreds of thousands of miles in everyday traffic without having any accidents, whilst being driven robotically with a ‘backup’ human on-board. In May 2014 Google unveiled their very own electric bubble cars, which are 100% autonomous, without a steering wheel, indicator stalk or pedal in sight. These cars can currently only be tested on private roads and an insider recently revealed the cars can’t tell the difference between snowflakes and people, can’t be driven in heavy rain, are unable to cleverly avoid potholes and even people’s driveways will need to be mapped before such vehicles could become a consumer reality. Still, Google are aiming for their driverless cars to be on the road between 2017 and 2020, perhaps starting with autonomous taxis. Google is primarily a search engine and technology company, not a car manufacturer, so their main aims are to have fun and push boundaries, ultimately hoping to sell some of their technology to car firms. 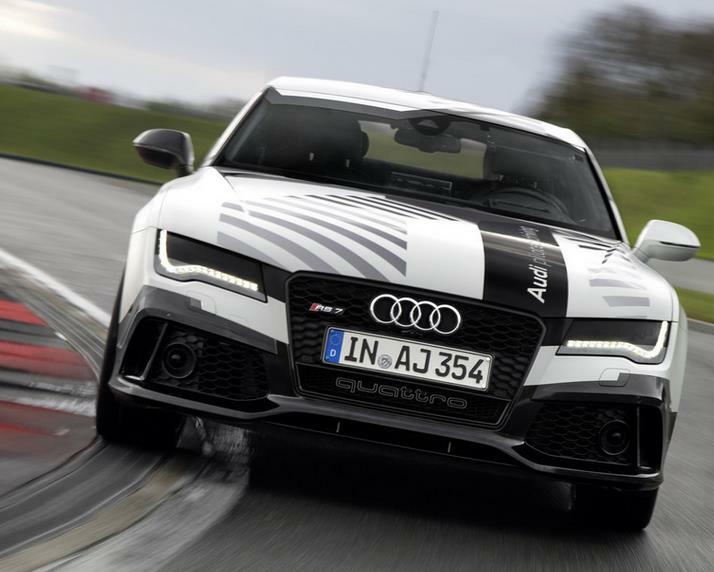 Audi recently achieved the wow-factor when a 560bhp V8-powered RS7 drove itself at race speeds around the Hockenheimring in Germany earlier this month. Nicknamed ‘Bobby’, the car relied heavily on precise satellite data, lasers, sensors, cameras and computers, allowing it to accelerate and brake just as a racing driver would do. Audi have actually been one of the main pioneers of driverless technology, having let loose a computer-controlled TTS on the Bonneville Salt Flats in 2009; before a TTS also completed the Pikes Peak and Thunderhill Speedway circuits in 2012. Audi are deadly serious about developing Piloted Driving versions of their cars, expanding on their existing systems such as Adaptive Cruise Control with Stop & Go, Active Lane Assist, Side Assist, Night Vision Assist, Park Assist and Audi ‘pre sense’. Last month, Audi beat Google in the race to obtain a permit to test their cars on California’s public roads, and the German firm’s Congestion Pilot system was recently tested in Florida with great success. Using a computer the size of an iPad, the system takes over the driving in slow-moving traffic and Dr. Ulrich Hackenberg, Audi’s Board Member for Technical Development, has strongly suggested it will be incorporated into many of Audi’s consumer models in the near future. Their driverless cars don’t have bulky LIDAR radars on the top like Google’s do; Audi’s technology is neatly tucked away in the boot, behind the front grille and in a few other places. The Germans appreciate that most people still want driving to be fun, so Piloted Driving is something that can be switched on by the driver when they wish; aiding safety and giving them a break when driving becomes tedious and tiring. Mercedes also have some remarkable technology already fitted to some of their cars, which is fast paving the way towards driverless cars; either full-time or those which are switchable at the command of the driver. They and other manufacturers have long provided radar cruise control, braking, steering, parking and safety assistance, but their cars now even scan the ground to detect the surface type. Mercedes’ Intelligent Drive programme, as showcased in their latest S500 limousine, takes over the steering, braking, indicating, lane-changing and other driving functions, and their prototype recently drove itself 60 miles from one city in Germany to another. Volvo and Nissan have been working especially hard at developing autonomous cars, with BMW, Ford, Cadillac and several other manufacturers not far behind. This shared frenzy means that within the next few years, various countries may see such cars on their roads, mingling with normal traffic. Fortunately for the majority of us who enjoy driving, car manufacturers will stick to cars which can be driven by a human but switched to autonomous mode at will for the foreseeable future, leaving us to enjoy our favourite roads, Sunday afternoon drives, holidays and that kind of thing. But when long tailbacks arise, a driver doesn’t feel well enough to drive or is a little tired, it would certainly be very handy if the car could take over and drive them home or to wherever they’re going. America may well become the first country to allow consumers to purchase cars with driverless overrides, but trials are set in the UK for 2015. It will certainly make car insurance and driving legislation very interesting, to say the least. One of the main advantages is that driverless cars will have fewer accidents, but the technology will increase car prices initially and could make life boring. What do you think about driverless cars? We’d love to hear from you via Facebook or Twitter.